Britain isn’t usually the first choice for most developers to set their video games, but for Playground Games, it was the obvious option. The Leamington Spa, England, company develops the popular “Forza” car racing games for Xbox, which have taken players to places such as Australia and Colorado. This time, the company aimed closer to home. “Forza Horizon 4,” which was introduced by Microsoft at the trade show E3 this week in Los Angeles, will take place in the United Kingdom. “Building an open world based on the country that you live in is entirely different,” Playground art director Benjamin Penrose said Tuesday. Instead of sending small groups to international locations, the entire studio spent time in their own country, observing things in a detail they hadn’t ever before, he said. Once, Penrose brought in a blossom he caught on the way to work, carrying it straight to the environmental artists to recreate. 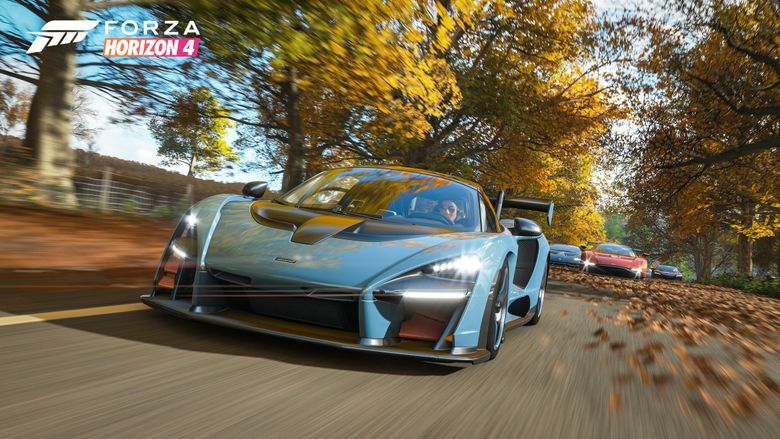 “Forza Horizon 4” will launch on Oct. 2 and will feature the four seasons to create a new driving adventure for players. Each week, the online game will switch seasons. For every player, everywhere. And each winter will be different from the previous winter, and for all seasons, as Playground plans to add new features each month. The company picked a small town 45 minutes away from its own and observed a cottage there over the course of the year to see how the landscape changed. Audio engineers visited every location of the game in each season to get the right ambient sounds. Seasons will unlock different gameplay as well – for example, an island can be accessed over a forzen lake in winter, but there will be no way to reach it in summer. “Seasons are the holy grail of open-world,” Penrose said. The newest Forza installment lets players interact with each other in real time, though that function can be turned off for those who want to drive solo. Playground was one of four studios Microsoft announced this week it has acquired, effectively doubling the number of game development studios creating entertainment for the company’s Xbox console.